A federal judge has ruled that the $350 million misconduct lawsuit, filed by Trump ally Jerome Corsi against Robert Mueller, will move forward. On Thursday, Judge Richard Leon ordered Corsi's case against Mueller to be randomly assigned to another judge. Corsi, a longtime associate of former Trump campaign advisor Roger Stone, is suing Mueller, the Justice Department, and others, for $350m over prosecutorial misconduct, leaking confidential information to press, and unconstitutional surveillance. Mr. Corsi accuses the special counsel of waging a "politically-motivated" criminal investigation against him. Judge Leon refused to preside over Corsi's case himself saying it would promote "judge shopping." Jerome Corsi and his lawyer Larry Klayman held a press conference after the hearing. According to WJLA, Corsi's attorney, Larry Klayman had requested that U.S. District Court Judge Richard Leon preside over Corsi's case which includes claims of "illegal, unconstitutional surveillance" by the FBI and Mueller's team. Leon previously presided over similar cases related to U.S. government surveillance abuses which he dismissed. "We're just beginning the fight," Corsi told reporters outside the U.S. District Court in Washington, D.C.
"We will be continuing on," he said. "We will hold Mueller accountable." In the coming weeks, the case which will be randomly assigned to another judge at the D.C. Court. There is a possibility it could be dismissed at the next hearing. Before ordering the case to be reassigned, Judge Leon commented on Klayman's previous accusations that the D.C. Court had been "co-opted by the deep state" and was being "harvested" by U.S. intelligence services. Leon called Klayman's assertions "vaguely absurd" and "frivolous." Corsi is currently under threat of indictment for refusing to sign a felony plea agreement offered by Mueller. According to Klayman, Mueller's plea deal is an attempt to "threaten" his client into providing false testimony. 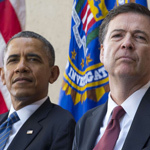 The Thursday hearing revolved around claims that the National Security Agency, FBI and special counsel's office illegally spied on Corsi and members of his family while investigating his potential role as a conduit between WikiLeaks and Trump campaign associate Roger Stone. Corsi denies any connection to WikiLeaks or its founder Julian Assange. 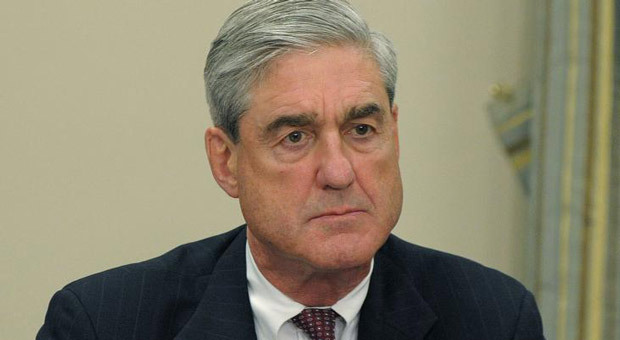 He told reporters Thursday that Mueller is "a politically-motivated hack" engaged in an "inquisition" against himself and President Donald Trump. Corsi did not offer any specific details about the alleged government surveillance but said he had "quite a bit of evidence" that would come to light if his case made it to trial. Corsi is confident that his lawsuit "breaks Mueller's case" of collusion between Trump and Russia. "Mueller will not stand the light of day," he told reporters. The Justice Department did not comment on Thursday's proceeding. The government was represented by Elizabeth M. Tulis, an attorney with the Justice Department's Civil Division. Tulis motioned to have Corsi's case randomly assigned to a different judge. Mueller's interest in Corsi stemmed from his investigation into possible ties between the Trump campaign, Wikileaks and Russian government hackers. Corsi worked closely with Roger Stone who attempted to make contact with Julian Assange in the summer of 2016 in order to get access to the stolen Hillary Clinton and DNC emails. During forty hours of interviews with Mueller's team, Corsi denied making attempts to contact Assange on behalf of Stone. Mueller offered Corsi a plea agreement in November in exchange for testifying against Stone. Corsi was told that if he pleaded guilty to lying to federal prosecutors about his supposed contact with WikiLeaks, he would be let off with minimal charges, likely a prison sentence of zero to six months and fines between $500 and $9,500. Corsi refused to sign the agreement and now claims the special counsel's office used illegal tactics to get him to turn on his longtime associate, Roger Stone and implicate President Trump in the "Russian collusion" scandal. "They wanted me to plead to a crime I didn't commit," Corsi told Howard Stirk Holdings’ Armstrong Williams an exclusive interview last week. According to the criminal complaint filed by Klayman, Special Counsel Mueller and members of his staff threatened to indict Corsi unless he agreed to provide "false testimony" related his and others' alleged involvement in the Russian election interference. Corsi's team also accused the special counsel of leaking grand jury information, witness intimidation, conflicts of interest related to alleged political bias against Corsi, and "conspiracy to commit treason." 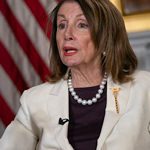 Klayman claimed that targeting Corsi is evidence that Mueller and his staff "are effectively engaged in a 'coup' against the United States and are working to overthrow the duly elected President of the United States." As a result of Corsi's involvement in the Mueller investigation, he faces financial hardship, irreparable personal and professional harm, persistent government surveillance and "immediate legal jeopardy," according to the legal complaint. In his interview with Williams last week, Corsi explained why Mueller's prosecutors took an interest in him. "They figured I was the lynchpin because I could link Roger Stone to Assange. It just wasn't true. I couldn't do it." 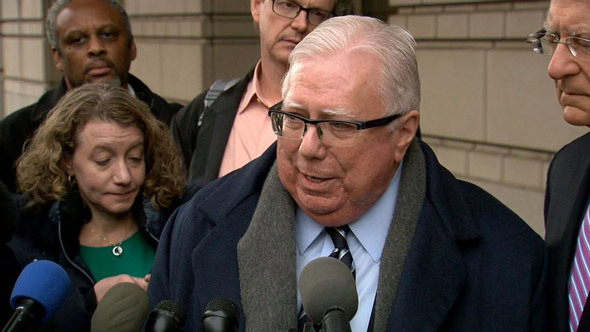 Without the direct connection, Corsi refused to enter a plea deal he saw as fraudulent, "nor will he participate in a slow-motion coup against the president," Klayman claimed. According to the plea agreement, the government had reason to suspect Corsi was connected to WikiLeaks and the illegal Russian hacking of the DNC email server. In late July 2016, Stone sent Corsi an email with the subject line, "Get to [Assange]." According to the email, Stone hoped to contact Assange and receive early access to the next batch of emails that he believed were related to the Clinton Foundation. The body of the email read, "Get to [Assange] at Ecuadorian Embassy in London and get the pending Wikileaks emails...they deal with Foundation, allegedly." Corsi then forwarded the email to Ted Molloch, a London-based academic, and former Trump campaign adviser, with ties to Russian media outlet RT and suspected access to WikiLeaks. Shortly after, Stone reached out to Corsi again. Corsi replied from Europe on Aug. 2, stating, "Word is friend in embassy plans 2 more dumps. One shortly after I'm back. 2nd in Oct. Impact planned to be very damaging." Corsi continued, "Time to let more than [Podesta] to be exposed as in bed w enemy if they are not ready to drop HRC." He speculated, "That appears to be the game hackers are now about. Would not hurt to start suggesting HRC old, memory bad, has stroke -- neither he nor she well. I expect that much of next dump focus, setting stage for Foundation debacle." Corsi initially told prosecutors that he never reached out to WikiLeaks on behalf of Stone. When prosecutors showed him the emails as evidence, Corsi amended his testimony but was still asked to plead guilty to lying about the initial statement. Corsi maintains that he deduced all of that information from prior research of Hillary Clinton, John Podesta, and the Clinton Foundation, but Mueller's prosecutors did not believe him. "They were sure I had to have a source and I didn't have a source," Corsi told Williams. Corsi was also accused of drafting a false memo in August 2016 claiming Stone's tweet about "The Podesta's Time In The Barrel" was related to a Clinton Foundation scandal, not WikiLeaks. Corsi acknowledged fabricating "a cover story" for Stone, who later submitted Corsi's false memo as part of his sworn testimony to the House Intelligence Committee in 2017. 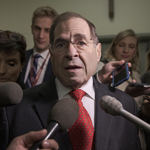 Democrats on the committee have since accused Stone of lying to Congress. Stone defended his conduct in a recent interview with Sinclair Broadcast Group. "Anyone who had any political experience would have asked for the emails. That's politics," Stone said. "If there's anything that can give you a competitive advantage, you're going to try to get that info." 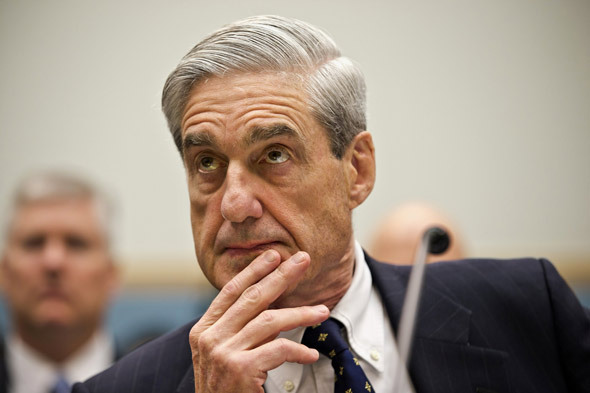 Friday, Dec. 27, 2018 -- U.S. District Judge Leon just ORDERED that the hearing on my $350 million federal lawsuit against Mueller WILL BE HEARD on JAN 3, 2019 -- Judge Leon REJECTED Mueller & DOJ request to postpone because of partial government showdown. I plan to be in court. Both Corsi and Stone agreed that the special counsel's office is trying to charge someone with a crime he didn't commit. 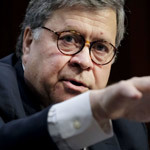 "With Jerry, they're trying to drum up some half-a** perjury charge to build their case, but they have nothing," Stone said. According to U.S. intelligence agencies, Russian military intelligence stole the emails and used WikiLeaks as a "cutout" to publish them as part of their broader effort to hurt Hillary Clinton and help Donald Trump. The founder of Wikileaks, Julian Assange, has denied the source of the emails was Russia. WikiLeaks released the first batch of emails ahead of the Democratic National Convention in July 2016, leading to the resignation of DNC Chair Debbie Wasserman-Schultz. The second batch was released between October and November and included the emails of Clinton campaign manager John Podesta. According to Corsi, his knowledge of the stolen emails was based on deduction and investigation, rather than direct contact with Assange or WikiLeaks. He said his trip to Europe coincided with his 25th wedding anniversary. Corsi has written numerous books that deal with controversial, conspiratorial subjects including the New York Times bestsellers, "The Obama Nation: Leftist Politics and the Cult of Personality," and "Killing the Deep State: The Fight to Save President Trump." Last month, Corsi released a nine-hour audiobook detailing his experience with the special counsel's office. The book is titled, "Silent No More: How I Became a political Prisoner of Mueller's 'Witch Hunt.'"